Duplicity of email is one of the most irritating problems, both for the senders who send email through Outlook as well as recipients holding different web based or desktop based accounts. This is because multiple copies of email get received in the Inbox of the recipients account(s) whereas several email copies get stored in Sent Items folder or sometimes in Outbox folder as well, though they are sent only once, causing huge problems. Duplicate emails in the receiver's Inbox and multiple copies of email in either the Sent Items folder and/or Outbox of Outlook is really an annoying situation. Such an abnormal functioning of Outlook mail program is certainly not acceptable and definitely occurs due to some irregularities caused due to one or several reasons. This article discusses the most common configuration issues that lead to formation of duplicate copies of email and methods for prevention as well as cleanup of the already created numerous copies. When a virus scanner that integrates itself with Outlook, is installed on the machine the problem of email duplicity mostly occurs. This is because the scanner scans the outgoing emails as well. It has been found that the installed virus scanners in any windows machine cause more of similar issues than they assist in making things easier. 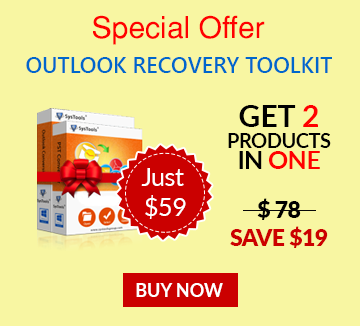 It is therefore recommended to disable the virus scanner integration with Outlook, completely. The reason being, disabling does not cause any problem and Outlook gives an even better performance than when it is used with enabled virus scanner integration. There does exist multiple ways to disable the virus scanner integration. The problem of multiple copies of emails being sent, though sent only once, also occurs due to setup of short time interval between the send and receive task of emails. This is because when the send/receive time gap is set to a short duration, say below 5 min; and the mail takes a while to upload onto the mail server, it happens that the next send/receive process already starts before the previous one gets over. This causes an accumulation of Send/Receive process that is yet to be over and requires to be finished. In the nastiest times, it happens that the message still stored in the Outbox get submitted again for sending. In this way, multiple duplicate copies get sent and received. To prevent and resolve such an issue the Send/Receive Progress dialog can be opened to check if there exists any backlog or also the Send/Receive time gap can be increased in the following way. First click on 'Tools' tab and then on Options button. In the Options window, click on Mail Setup tab and then Send/Receive where time interval can be changed. Go in the sequence: File > Options > Advanced > Send/Receive for altering time gap. Note – The time interval should be set more than 5 minutes. However, when there are 3 or more accounts configured, it should not be less than 10 minutes. In some cases, the problem 'Outlook sending multiple copies of an email' is also caused when Outlook users work with a slow connection to the mail host. This is because both IMAP and POP3 accounts function with server timeouts. This actually tells Outlook when to consider a connection as lost, if no response is received from the server after a fixed amount of time, which by default is 1 minute. When on a slow or unreliable connection it is highly possible that server gets timed out and in such situations, Outlook re-submits the Outbox email message in the next Send/Receive time period, thus creating duplicate emails. When this is the source behind multiple 'sent email' copies being created, the solution could be extending the mail server time-out i.e. increasing Internet speed. And this can get possible by resetting the internetworking devices such as modem, router(s), hub, Access Point, etc. or by contacting the Internet Service Provider. Increasing the mail server timeout to 2-3 minutes generally resolves the issue. Moreover, defining it more than 3 minutes is not at all suggested, as it means that the actual issue is something else and not the slow connection.